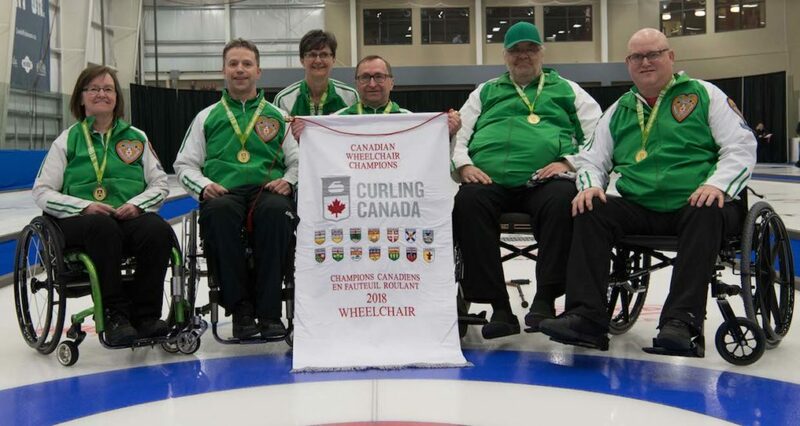 Saskatchewan’s Marie Wright is the new Canadian Wheelchair Curling champion, and she had to defeat her Team Canada Paralympic teammates to do it. 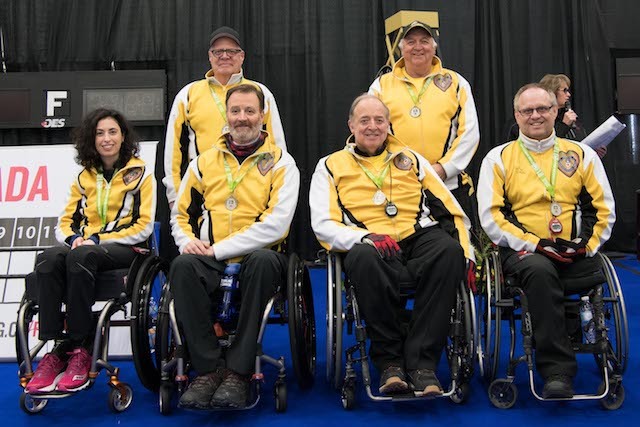 Wright and her Saskatchewan team of Gil Dash, Darwin Bender, Larry Schrader, Moose Gibson and coaches Lloyd Thiele and Lorraine Arguin powered their way to an 11-1 victory over Manitoba’s Dennis Thiessen in the finals of the 2018 Canadian Wheelchair Curling Championships held in Leduc, Alta. Just over a month ago, Wright, Thiessen and Manitoba third Jamie Anseeuw were celebrating their bronze medal at the Pyeongchang Paralympics in South Korea, but today they met as provincial rivals. Wright, who went undefeated throughout the tournament, took control early when she scored four in the third end after a Thiessen miscue. Leading 6-1, the Moose Jaw, Sask., team kept the pressure on, taking advantage of some uncharacteristic misses from the Manitobans – Thiessen, Anseeuw, Mark Wherrett ,Carolyn Lindner and coach Tom Clasper – to rack up an 11-1 score after six ends. It was a team effort all the way, says Wright. 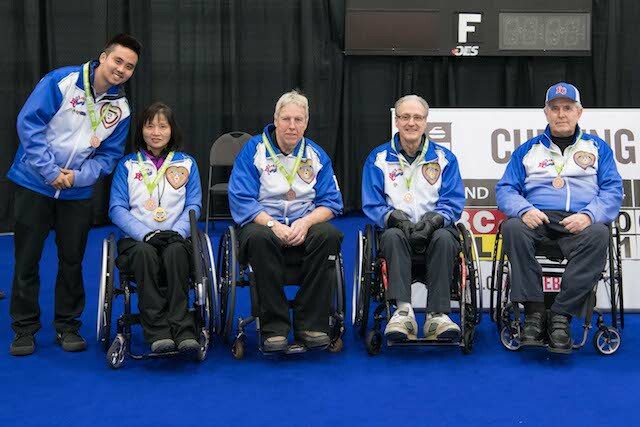 In the bronze medal game, British Columbia’s Darryl Neighbour and his team of Bob McDonald, Gary Cormack, Janice Ing and coach Cody Tanaka went up 7-0 after two ends over Cecilia Carroll and the Newfoundland and Labrador champions, Darlene Jackman, Felix Green, Mel Fitzgerald and Leslie Anne Walsh. The team from St. John’s battled back with four points, but they couldn’t climb back. B.C. took the 10-4 win and the bronze medal.